Home › News & Events › W.G. Neely Postgraduate Prize 2019! W.G. Neely Postgraduate Prize 2019! The Church of Ireland Historical Society is delighted to announce that the W.G. Neely Postgraduate Prize for 2019 is now open! 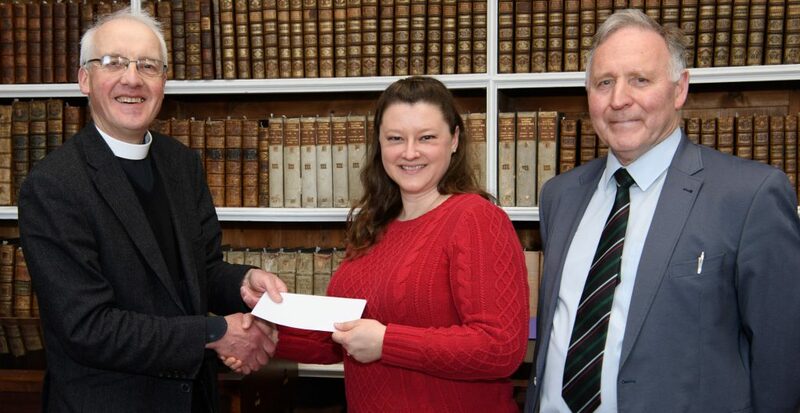 The W. G. Neely Prize, named in honour of the founder of the Church of Ireland Historical Society (COIHS), provides an excellent opportunity for research students to promote their work that considers aspects of the Church of Ireland. The prize is open to any postgraduate pursuing a major research thesis. Interested candidates can be affiliated to any recognised university, whether in Ireland or abroad. While entrants in the past have usually come from the discipline of history the committee warmly welcomes postgraduates from other subject areas such as history of art, archaeology, geography, politics, and architecture, to consider submitting an essay. The winner of the W. G. Neely Prize will receive €150. His/her essay will, moreover, be considered for publication by Ireland’s premier academic journal, Irish Historical Studies. The candidate with the best essay will also be expected to present his/her paper at one of the Society’s conferences in Armagh (Spring) or Dublin (Winter). Candidates interested in submitting an essay may write on any topic of their choosing relating to the history of the Church of Ireland. It should be no more than 5,000 words (including footnotes). The essay must be of original research. Candidates cannot submit a straightforward replication of a draft chapter in his/her thesis. Entrants do not have to be a member of the Society but are welcome to avail of the membership package that offers a generous student discount rate. Details of the terms and conditions, in addition to the deadline, can be accessed by clicking on the link here. Any enquiries should be directed to the secretary.